Moe Lane » This is the worst Internet ad placement EVER. 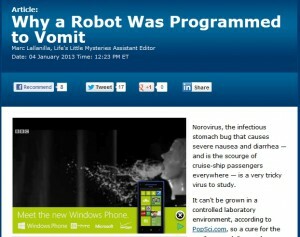 This is the worst Internet ad placement EVER. Admittedly, nothing would have worked well as an ad for this story, but the Windows Phone was a particularly unfortunate choice. If I can find a copy I’ll post.